I've added a new Wireframe mode that supports Quads and also shows the surface at the same time. I'm thinking this mode should be active while you drag a Resolution slider. Also, I've added optional curve vertex rendering, useful if you need to do any fine curve edits. You can also optimise the curve to remove unwanted detail automatically. 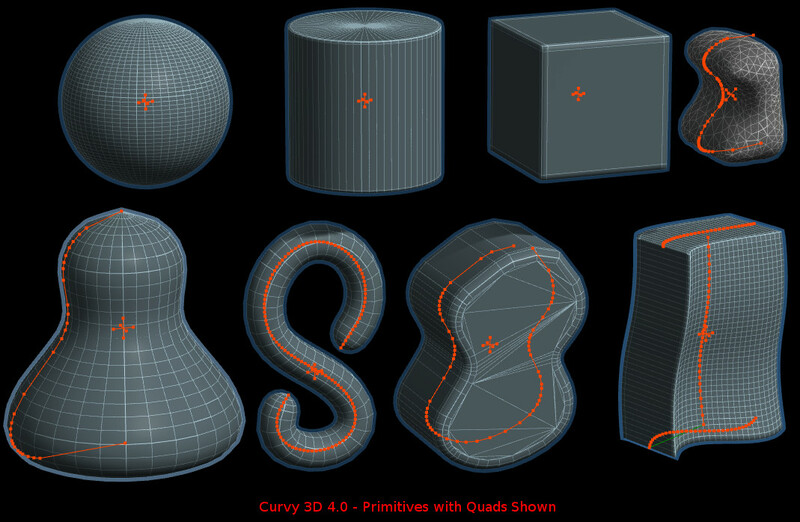 This is very useful for Slabs/Blobs/Bevels where the curve vertices are used exactly (Notice the big flat quads on the top of the Slab) I will probably add an "Exact" option to the other primitives - but it is an 'expert' option as unless you take care you will get choppy results. 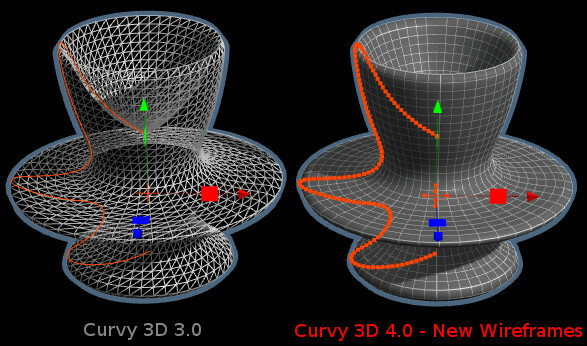 While Curvy is great at organics, from time to time it helps to view the model as sharp edges faces. 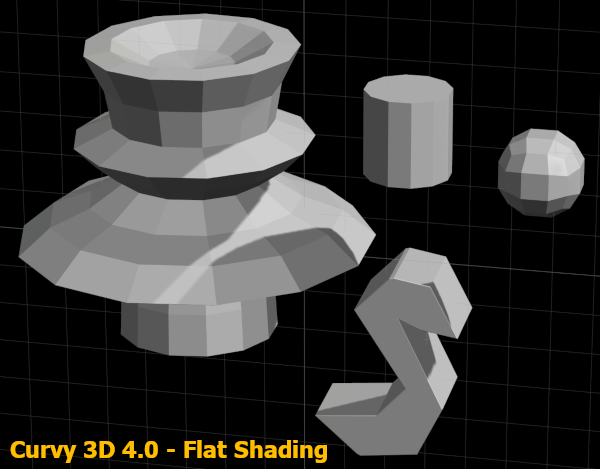 This could be useful for rendering sharp shapes, and as an alternative helper mode to wireframes.